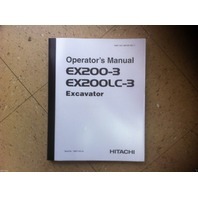 You are bidding on a used but LIKE NEW Hitachi EX200-3 EX200LC-3 Excavator Operators Manual. Publication #: EM14C-NA1-1. Book is approximately 187 pages. This version is on 8 1/2" x 11" paper. 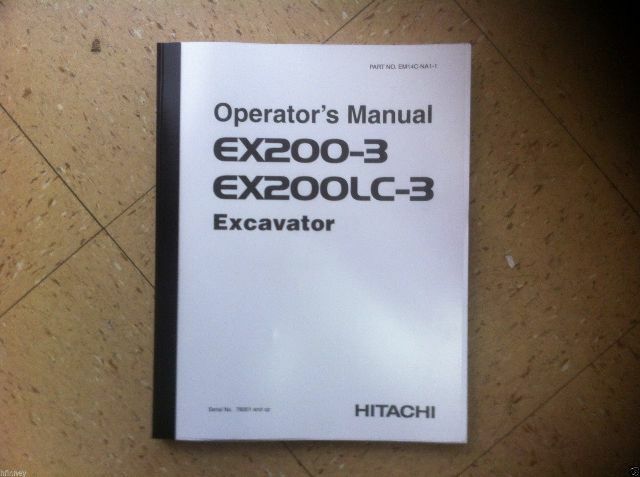 This manual is for models with Serial #'s 78001 and up. A really good tool for anyone buying a machine or operating and maintaining a Hitachi EX200-3 EX200LC-3. If you aren't sure that this is your machine please call. 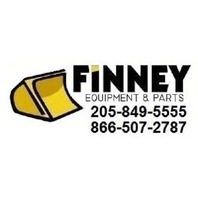 See other listings for parts and service manuals. We combine shipping upon request.